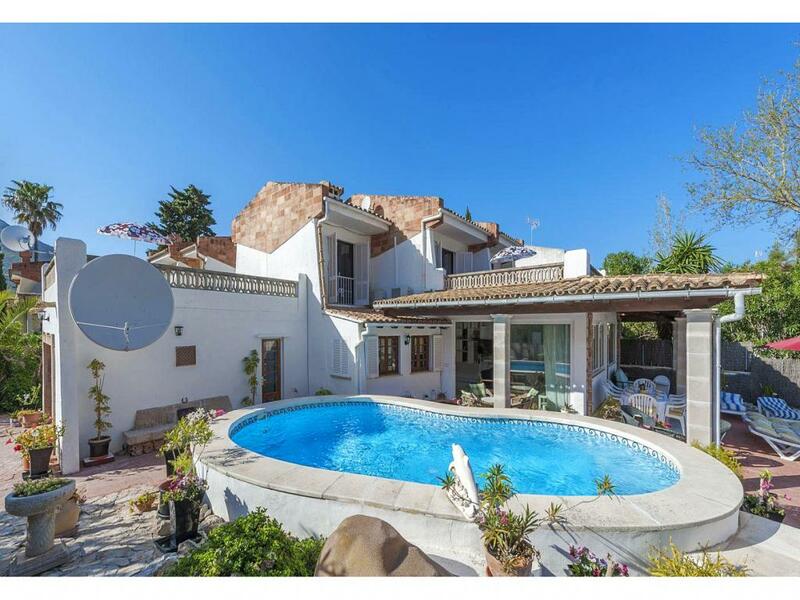 Luxury 6 Bedroom, 4 Bathroom Villa with Sea View and a Private Swimming Pool , WiFi, Tennis Court, Satellite TV, near Golf, Sleeps a maximum of 10 people. 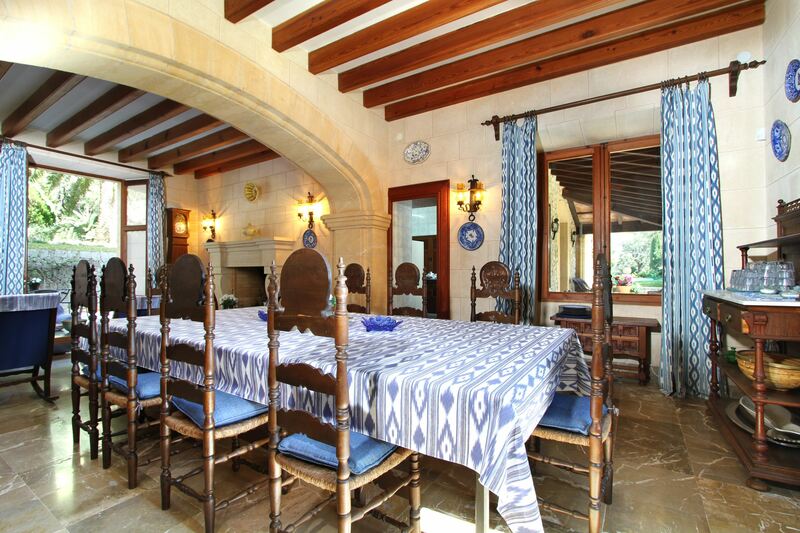 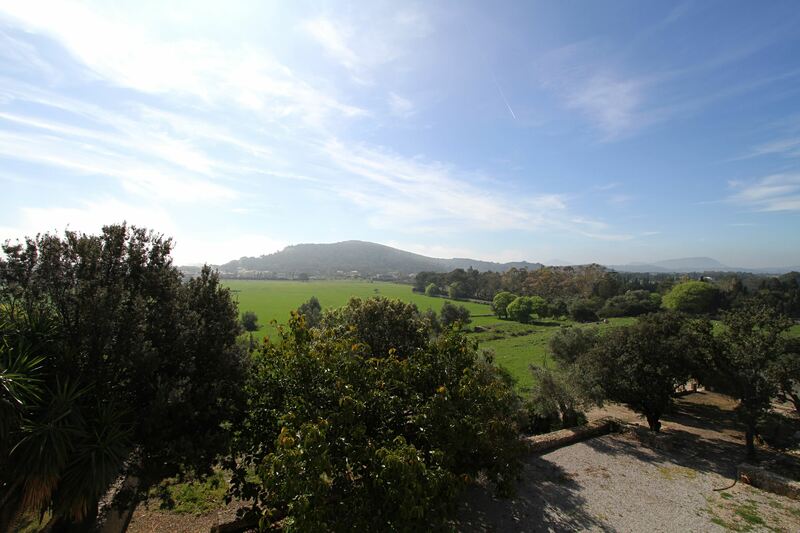 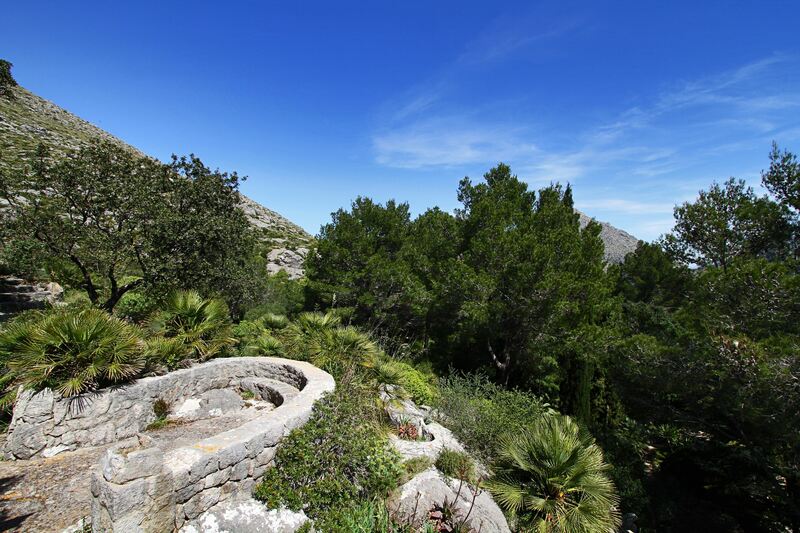 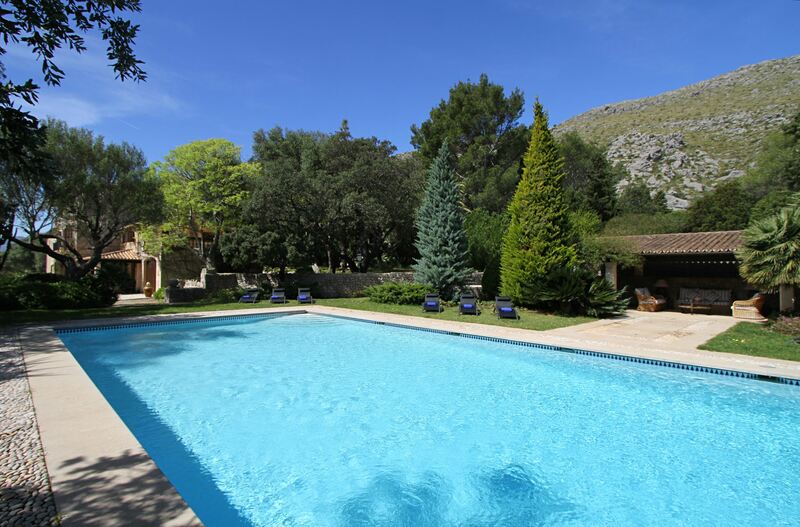 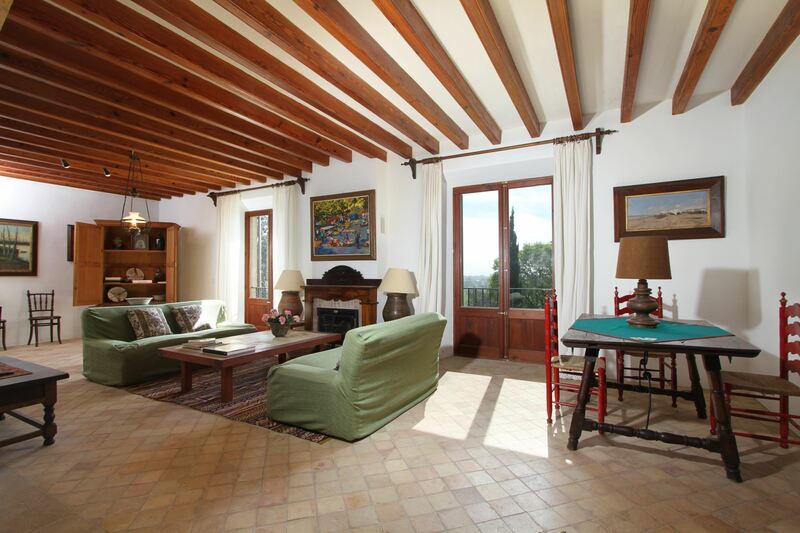 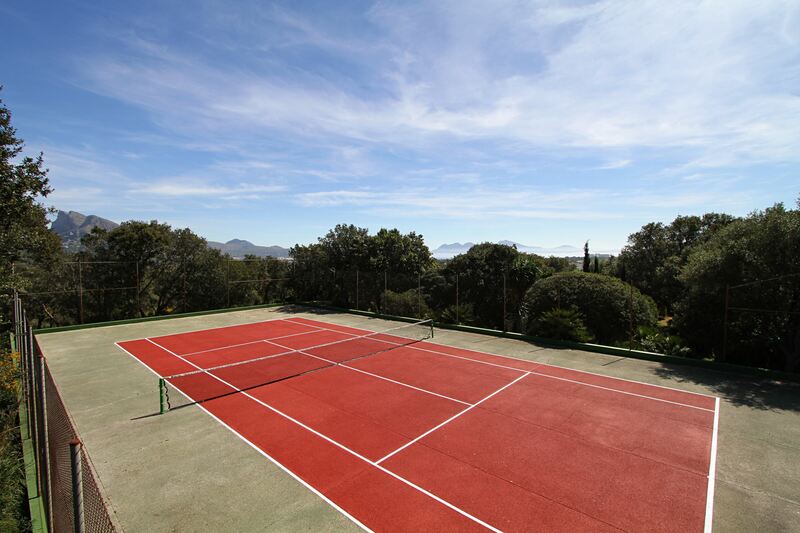 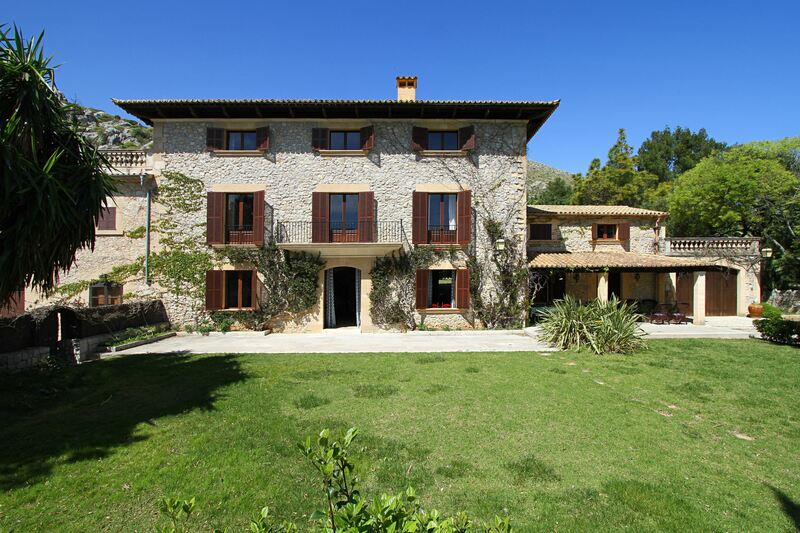 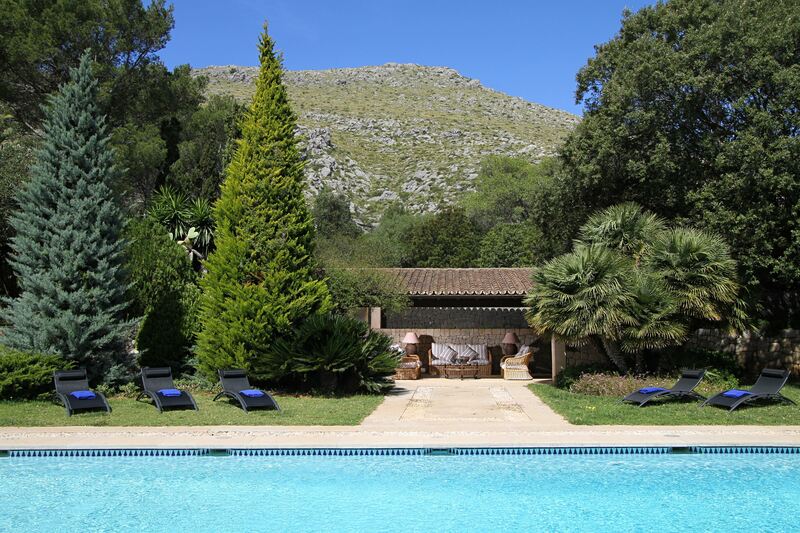 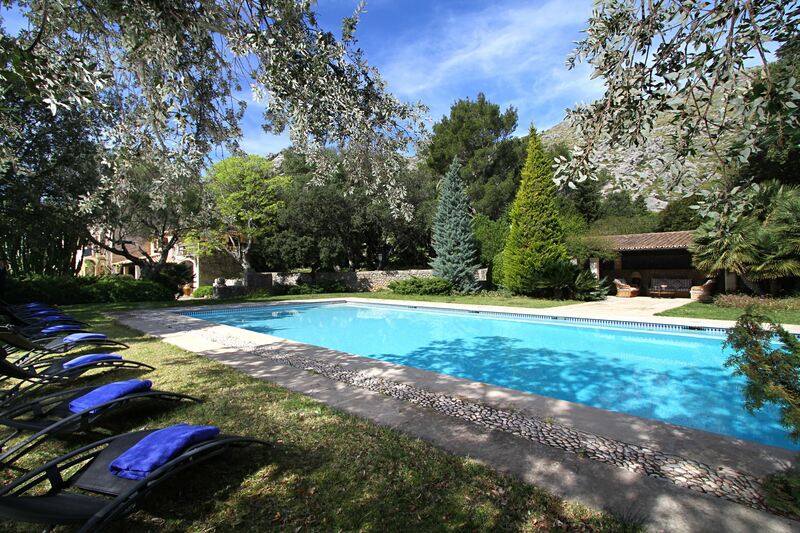 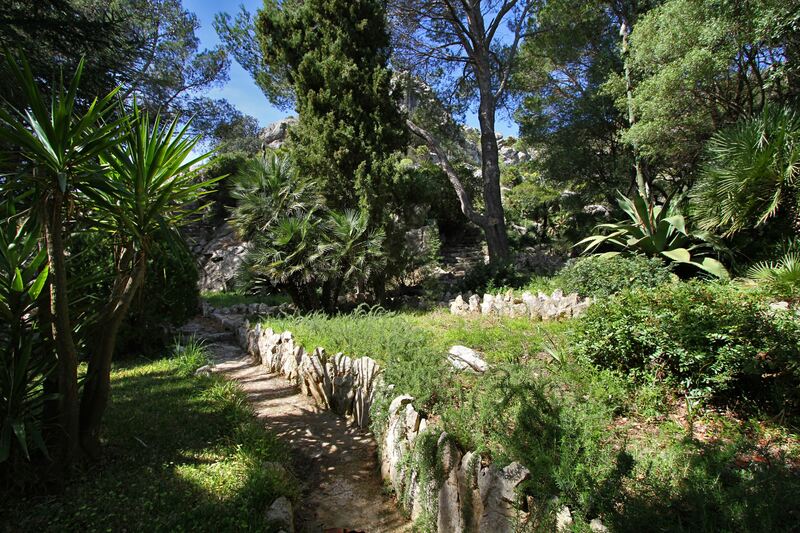 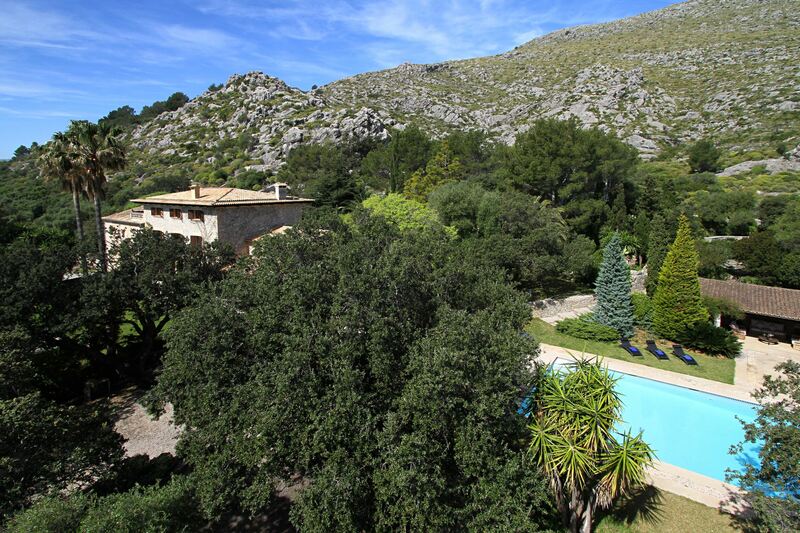 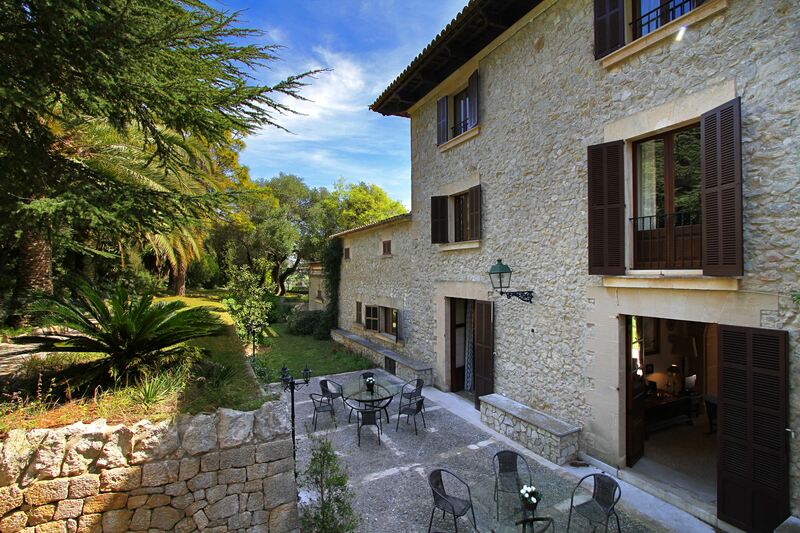 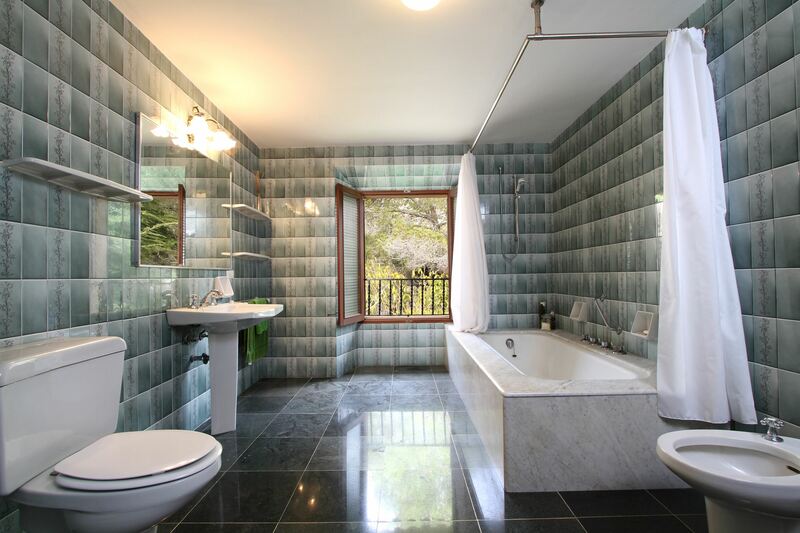 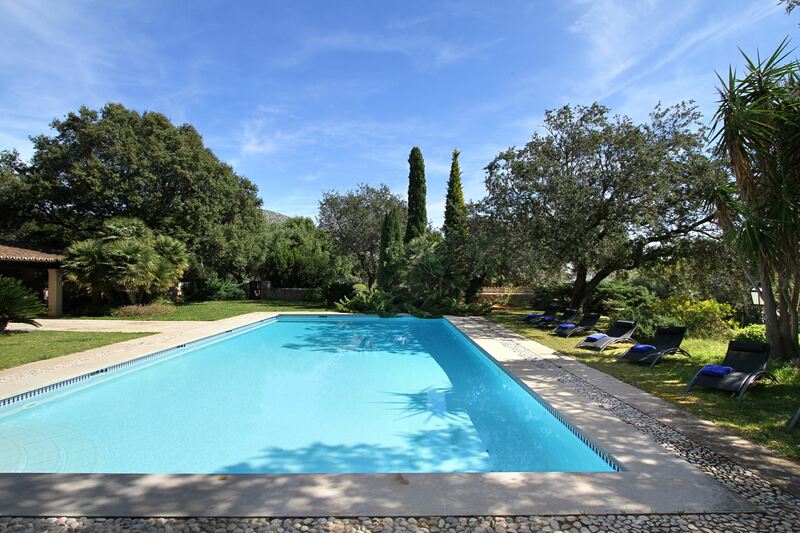 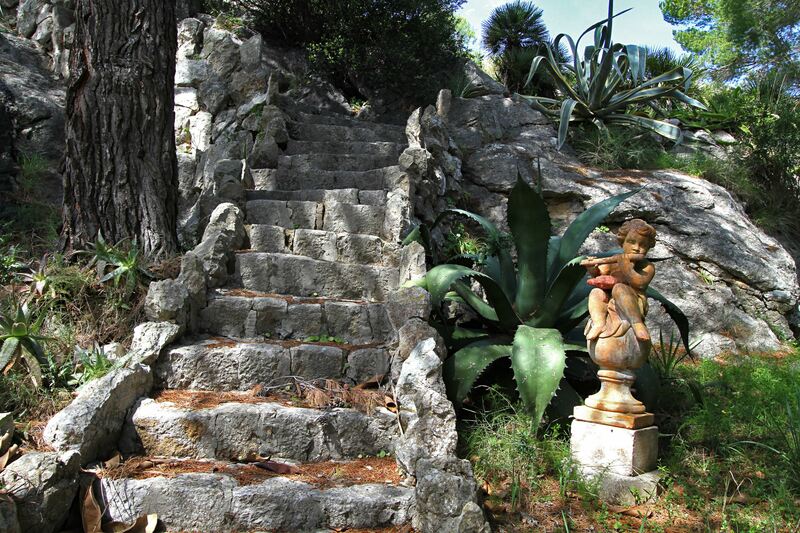 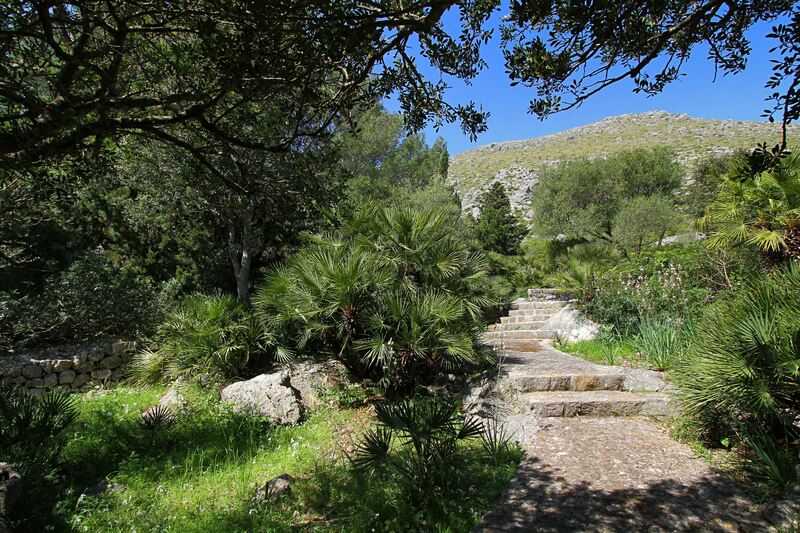 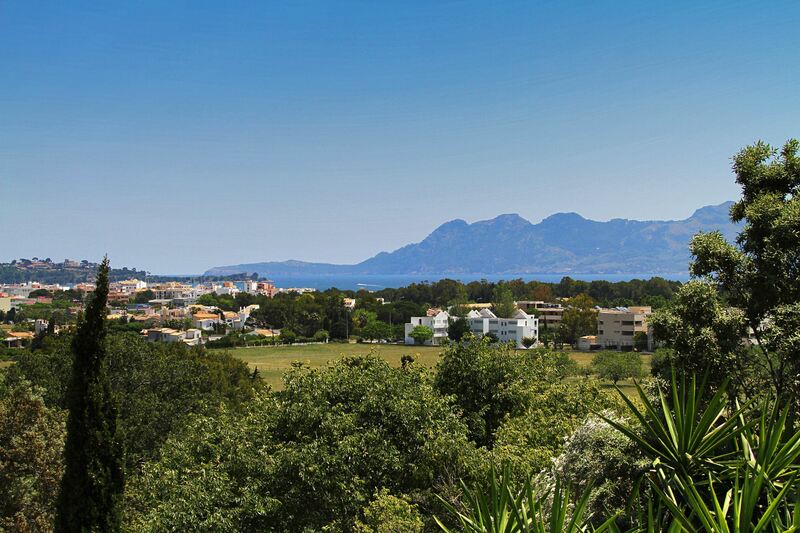 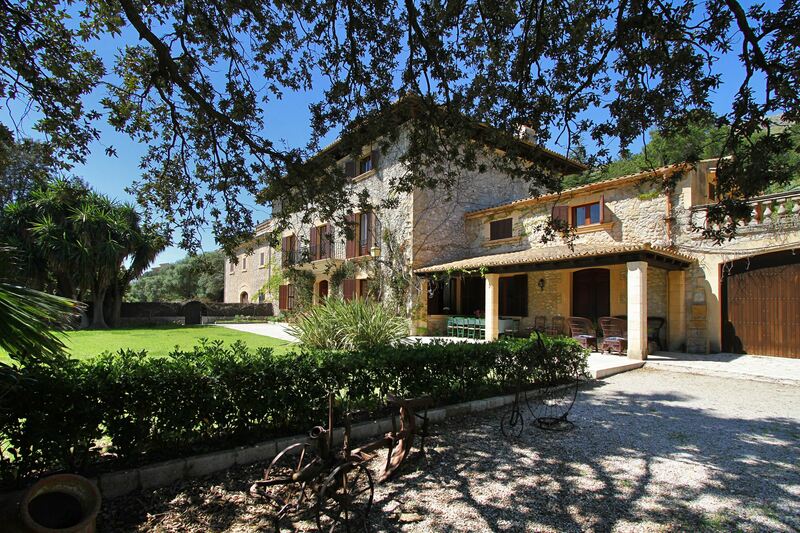 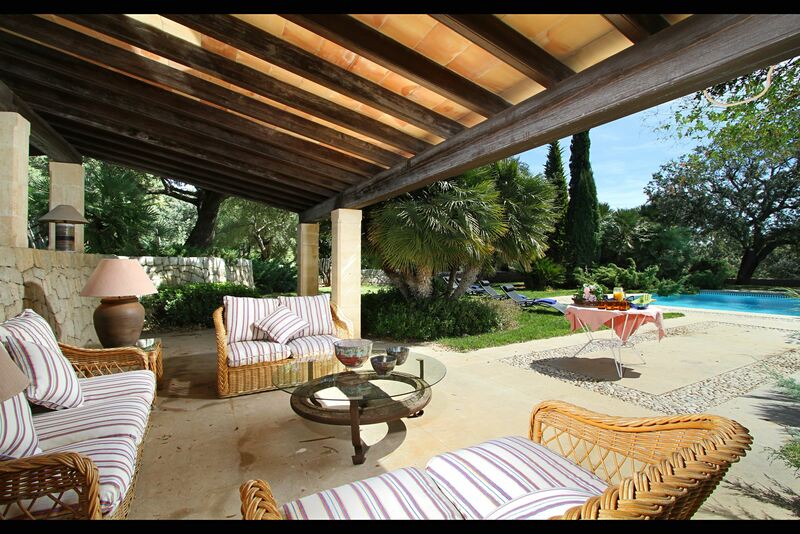 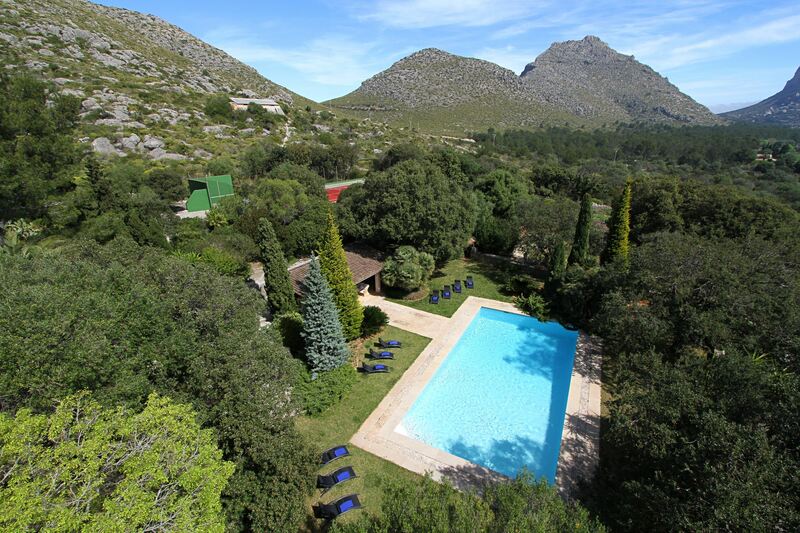 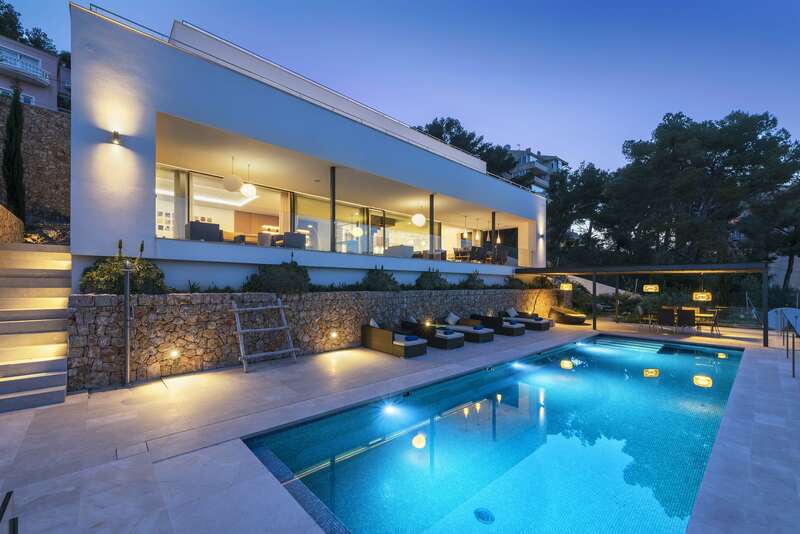 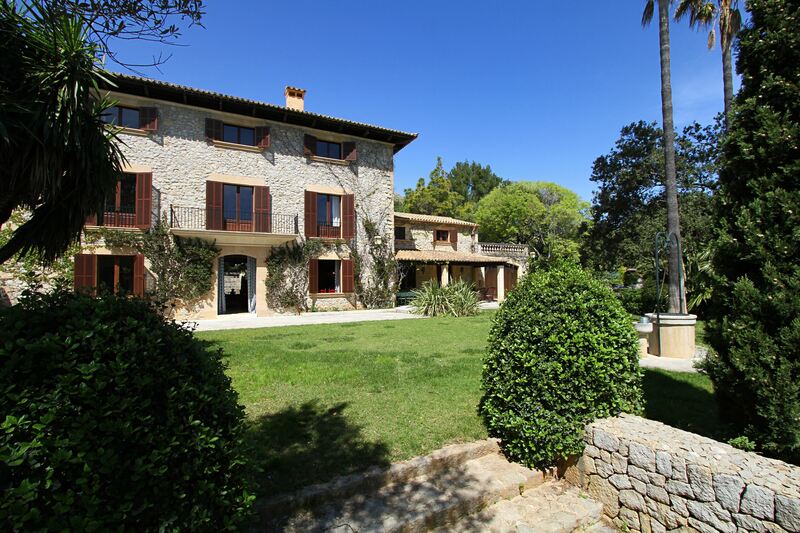 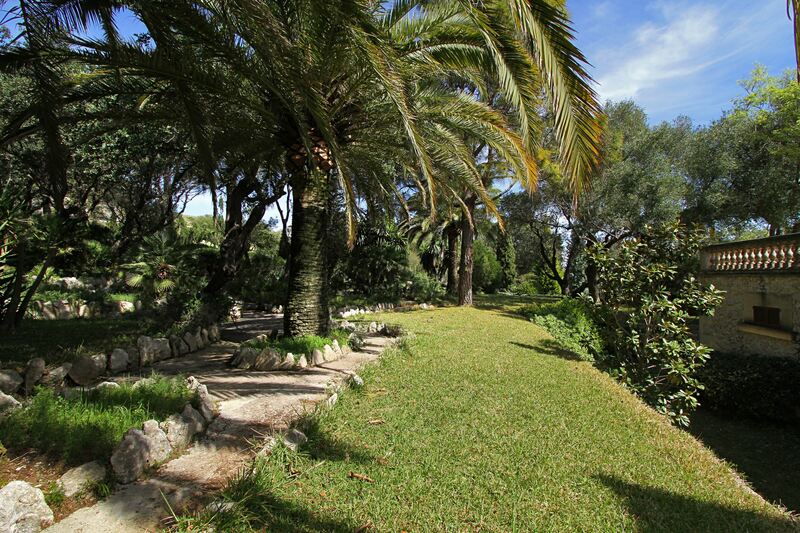 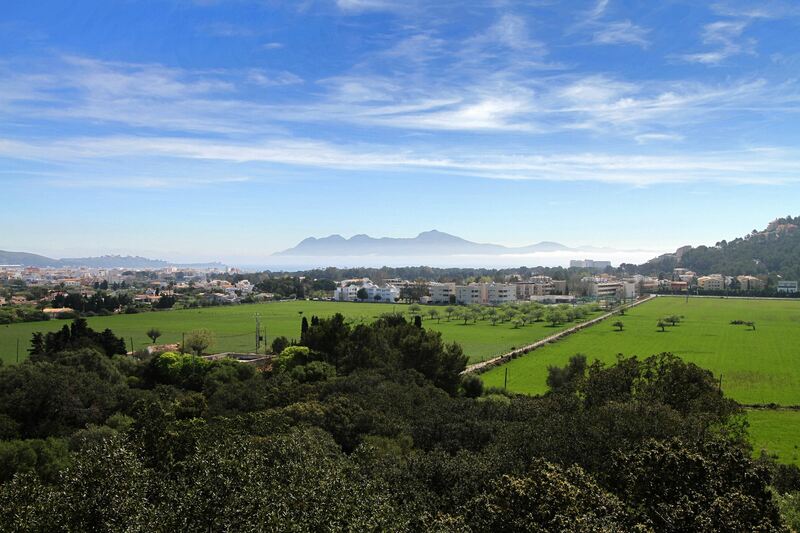 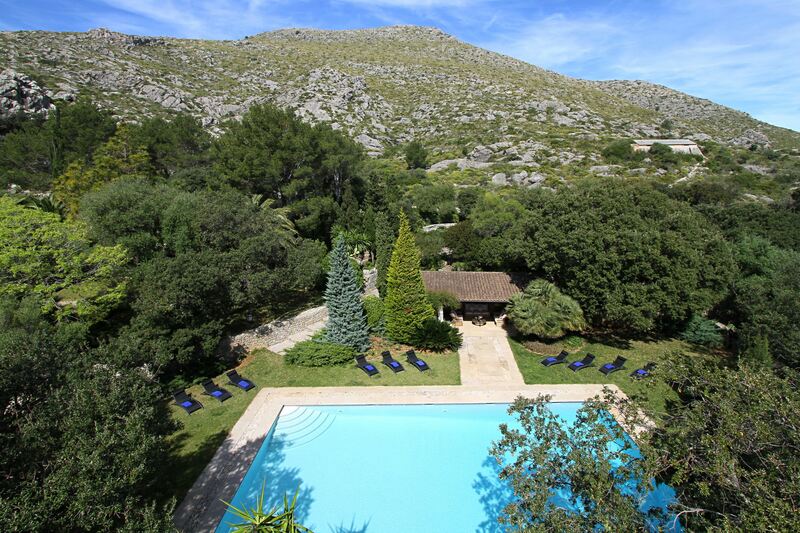 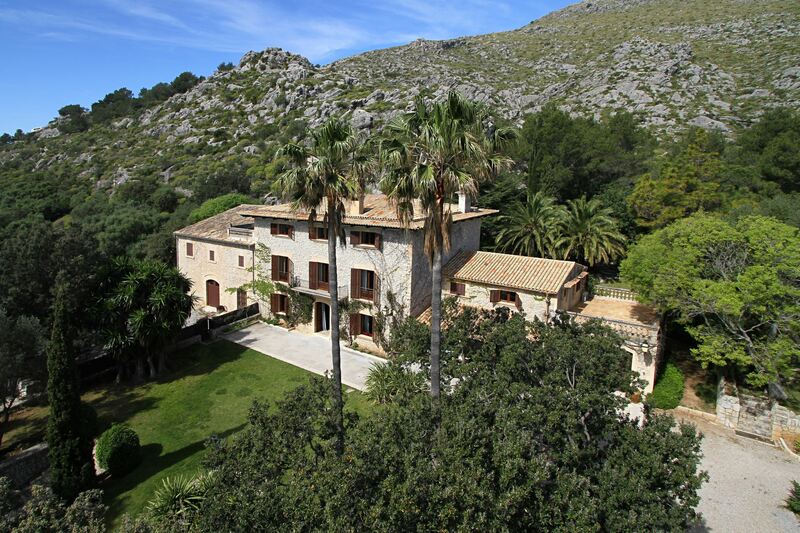 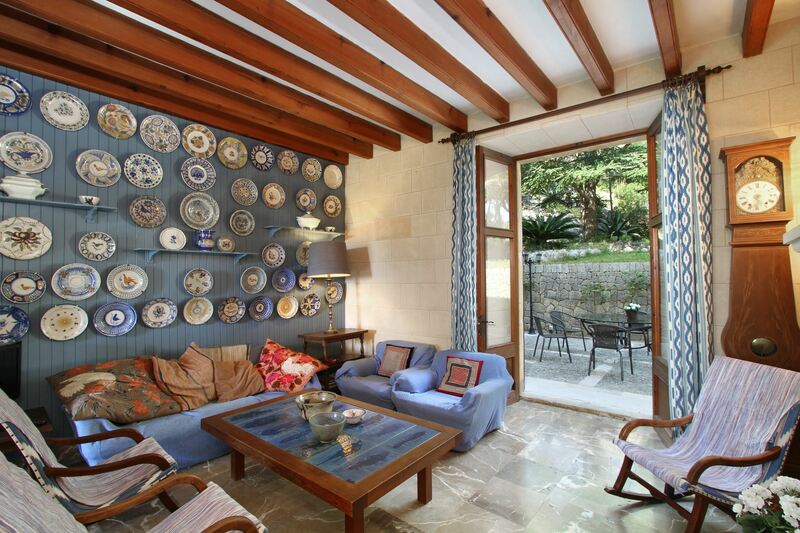 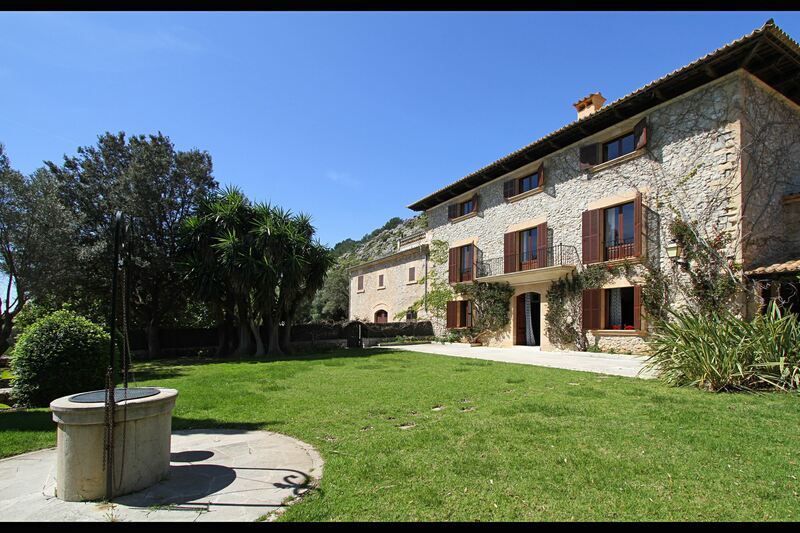 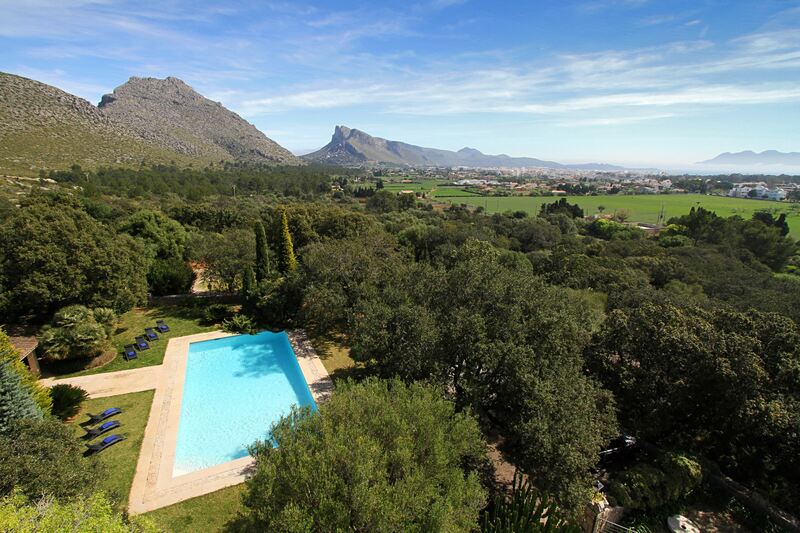 Hidden in the Mallorcan countryside within walking distance of Puerto Pollensa lies this amazing luxury villa. 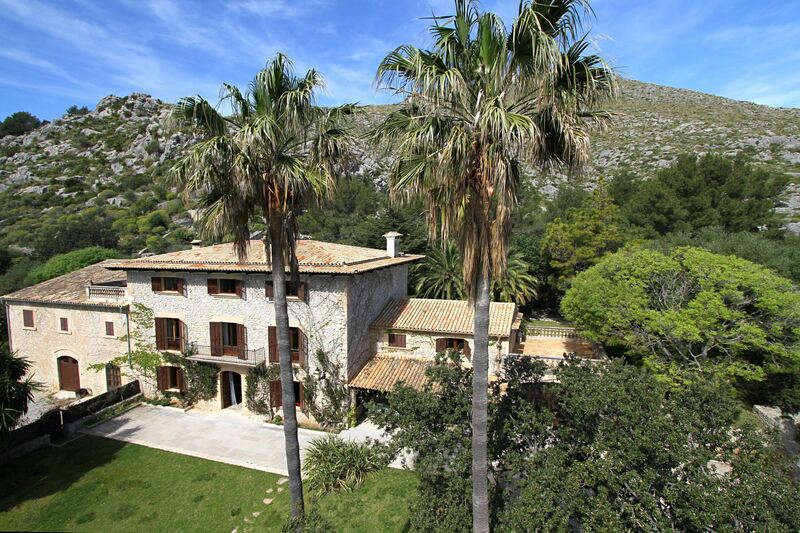 Set within a huge plot of land which offers absolute privacy, this Mallorcan mansion offers accommodation for up to 10 guests in two double bedrooms and four twin bedrooms; there is one bedroom on the ground floor with a private bathroom, two on the first floor also with privates bathrooms, and three on the second floor which share a bathroom. 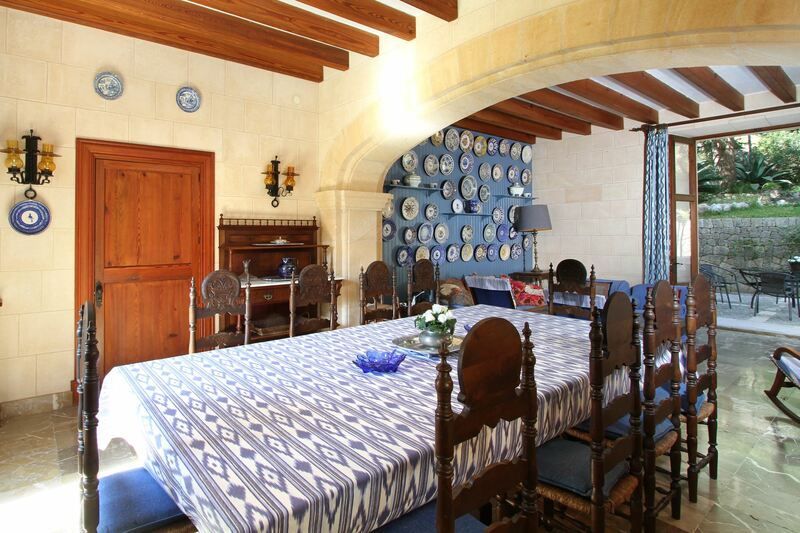 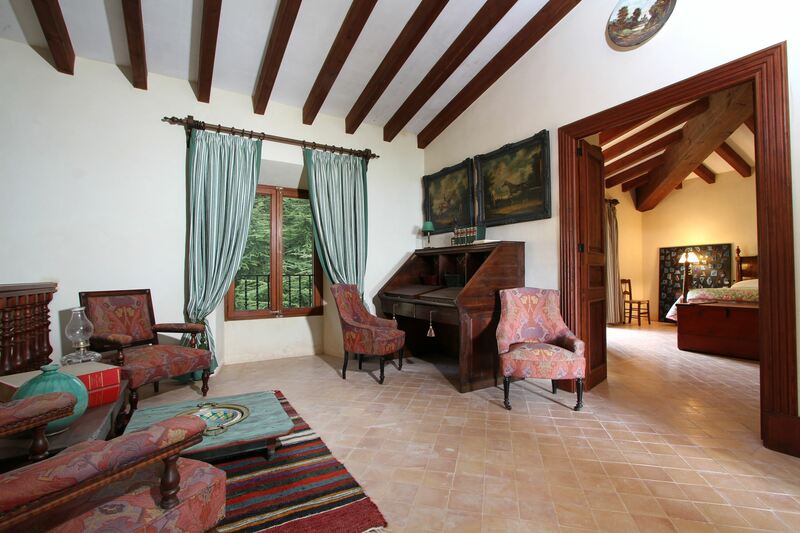 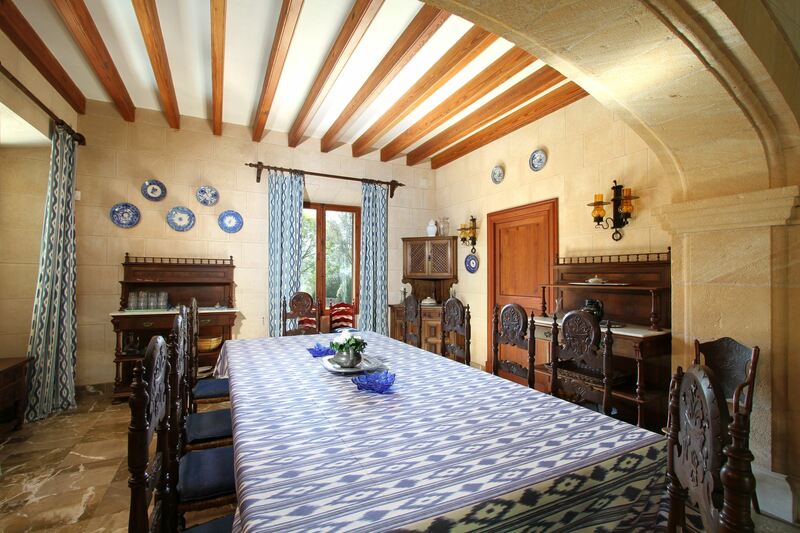 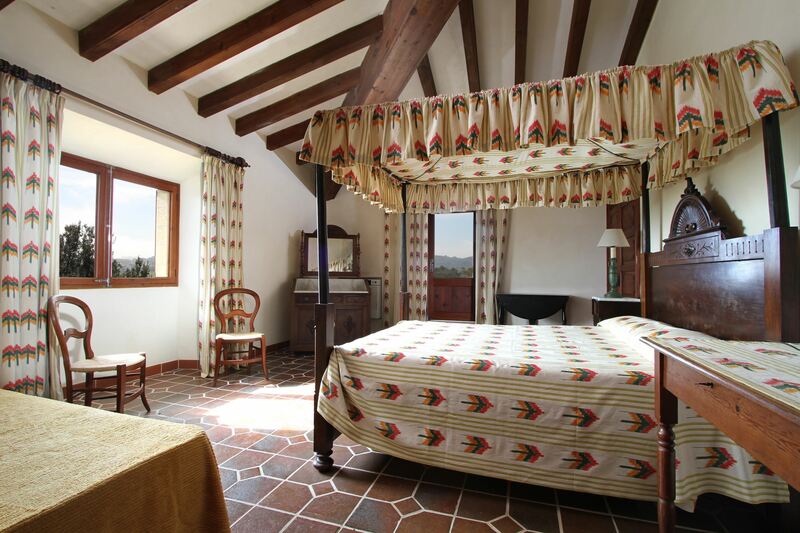 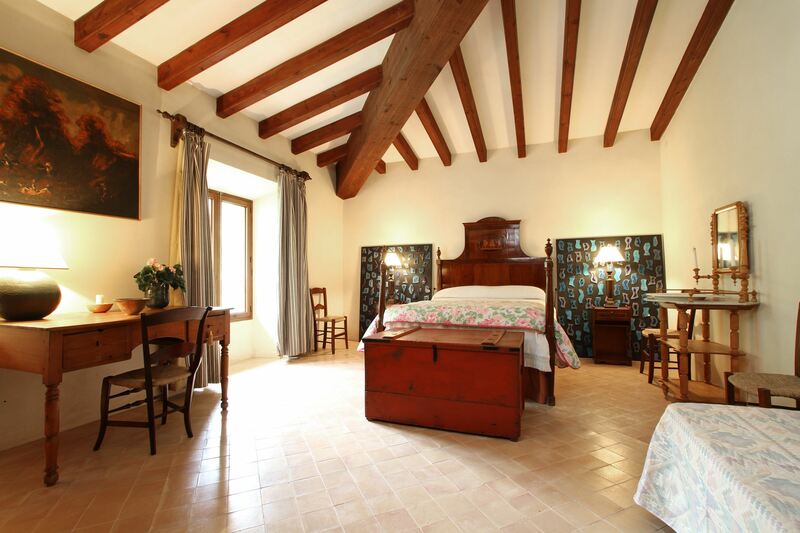 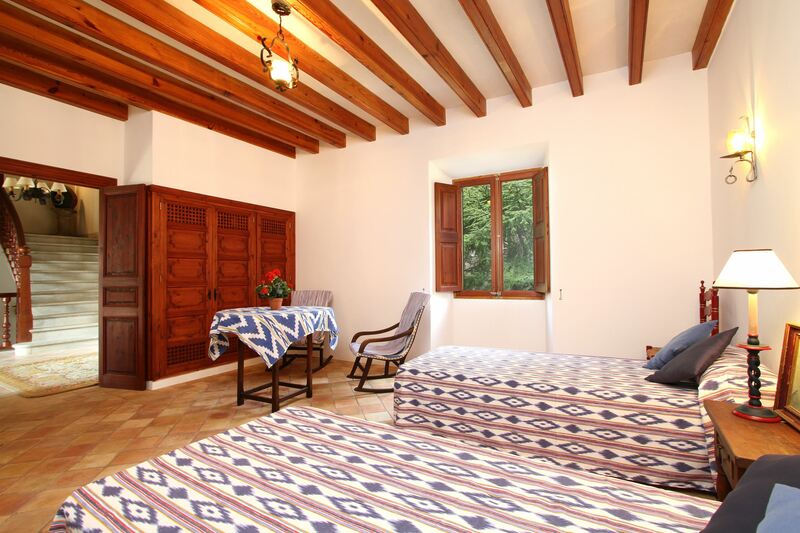 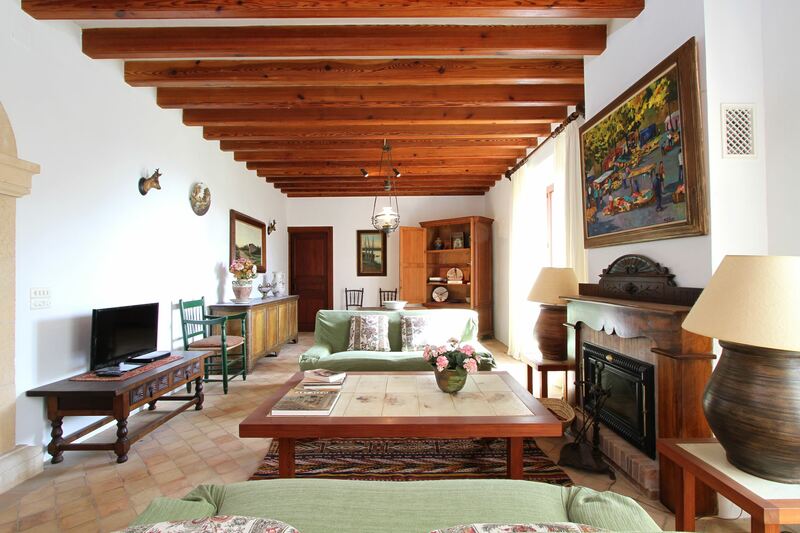 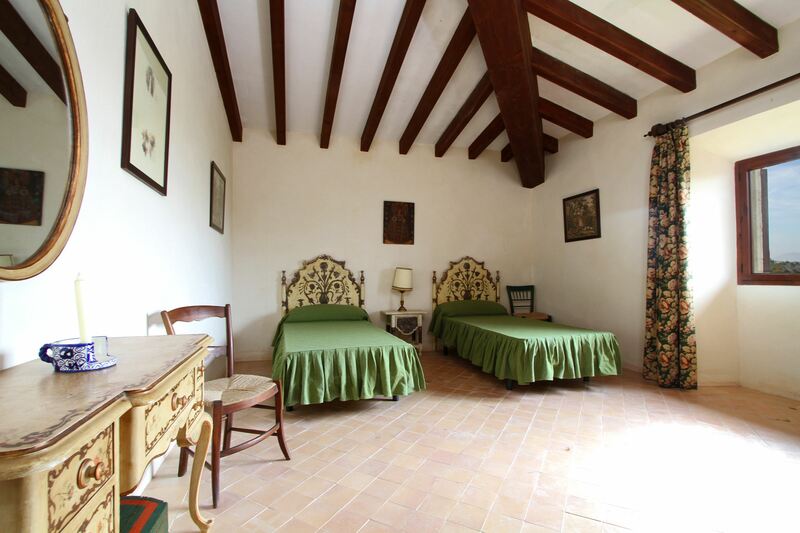 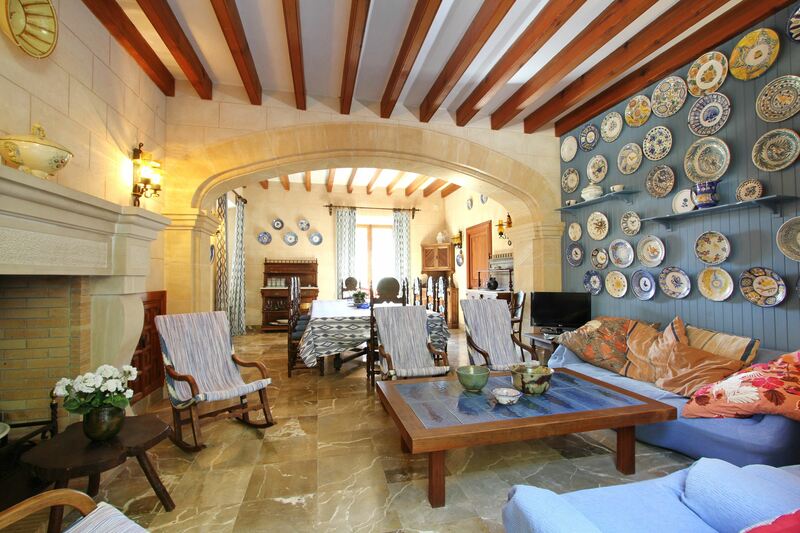 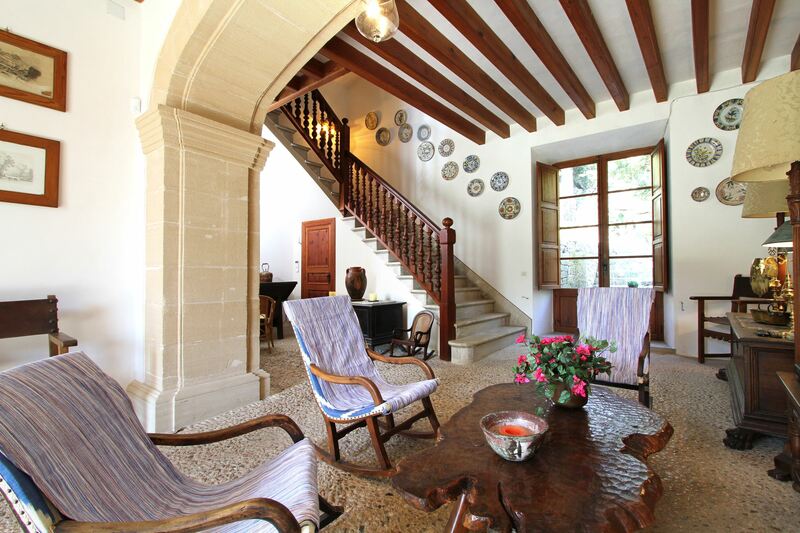 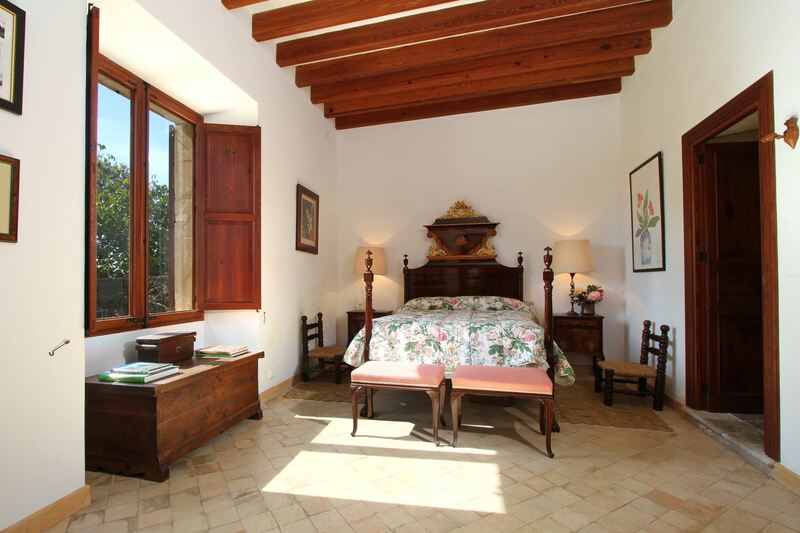 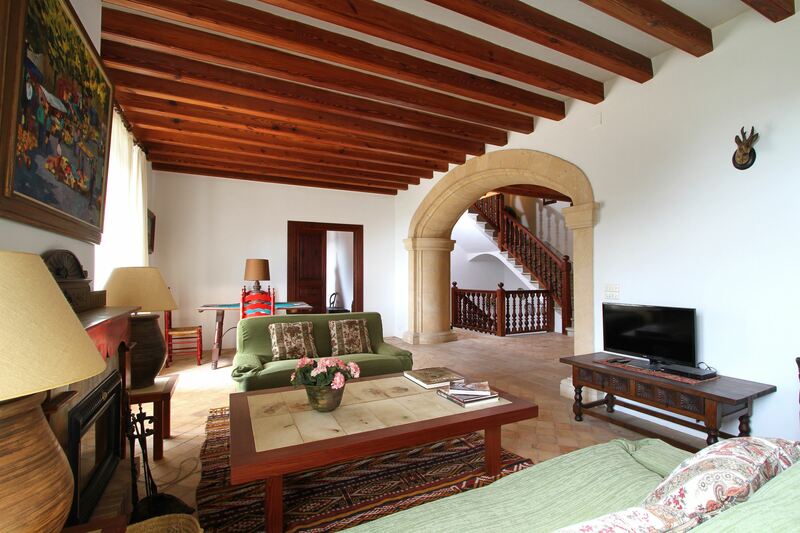 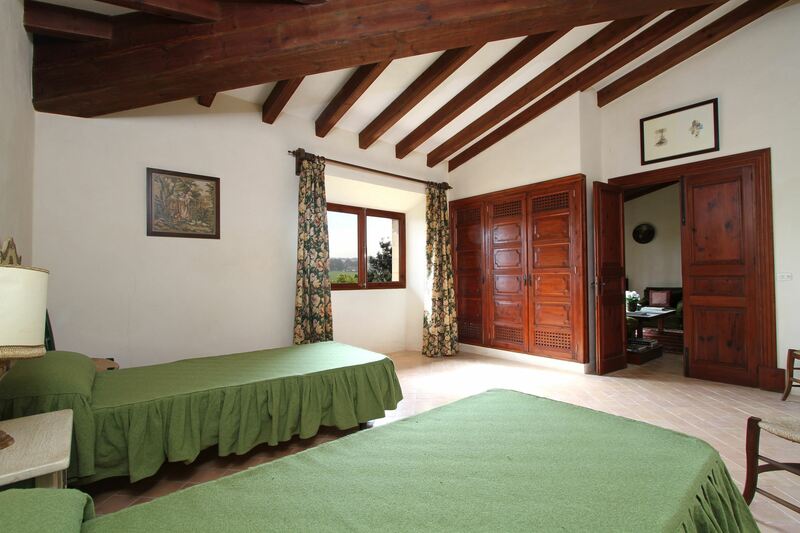 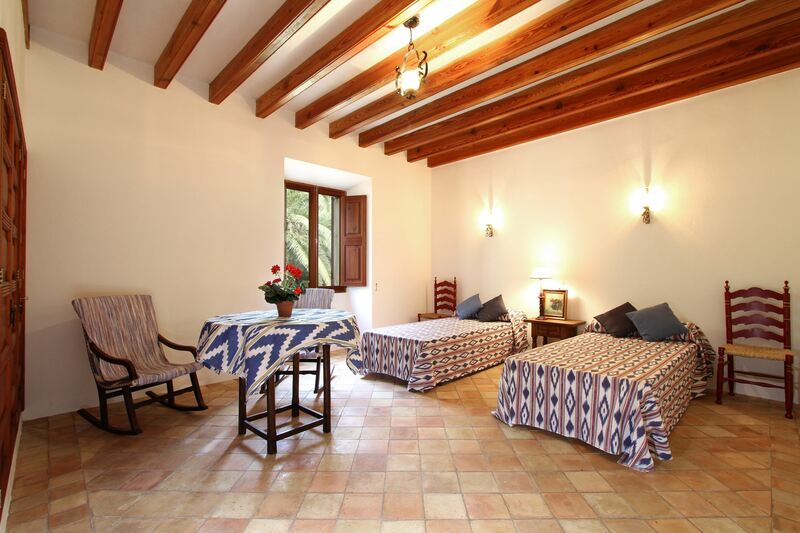 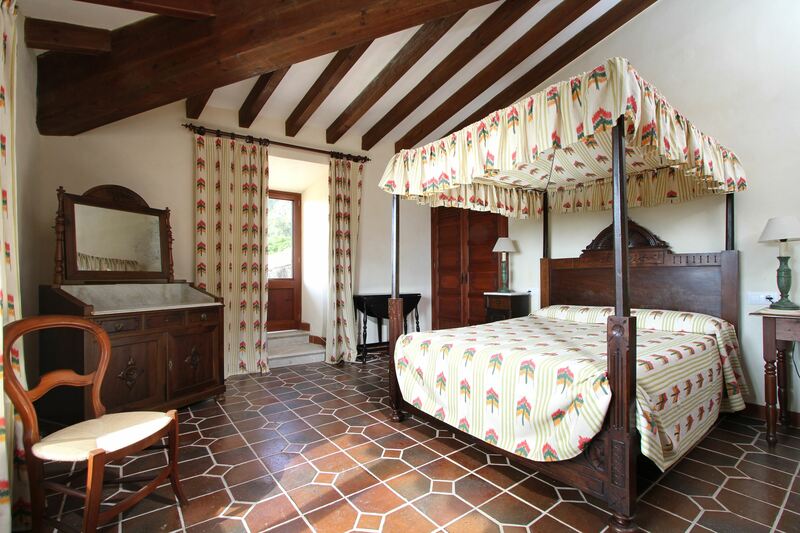 Rustically decorated throughout, the villa has a light and airy atmosphere, and thanks to the traditional thick walls and tiled floors typical of Mallorcan buildings it is cool even in the height of summer meaning that air conditioning is not even necessary. 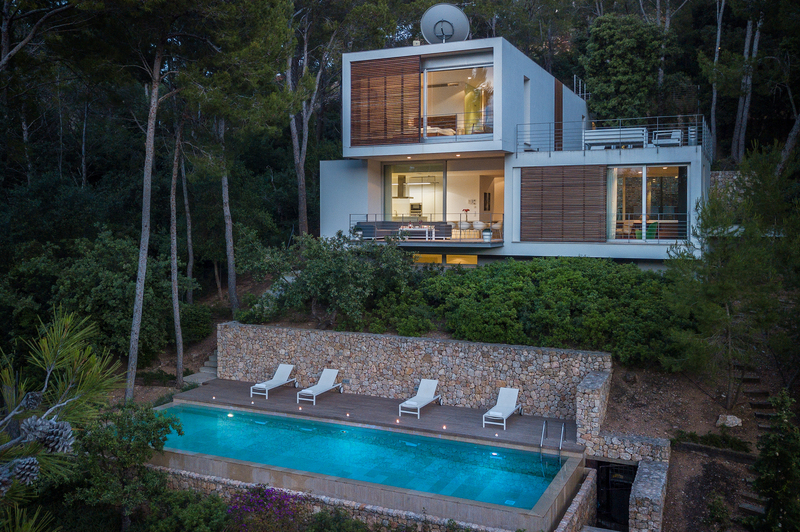 Alongside the 6 bedrooms the villa has a total of 4 living rooms, one on each of the three floors, a spacious kitchen with it`s own breakfast bar and stools, and multiple terraces (both covered and uncovered) dotted around the outside of the building so that no matter what time of day it is there will always be somewhere to sit outside and enjoy the Mallorcan sun. 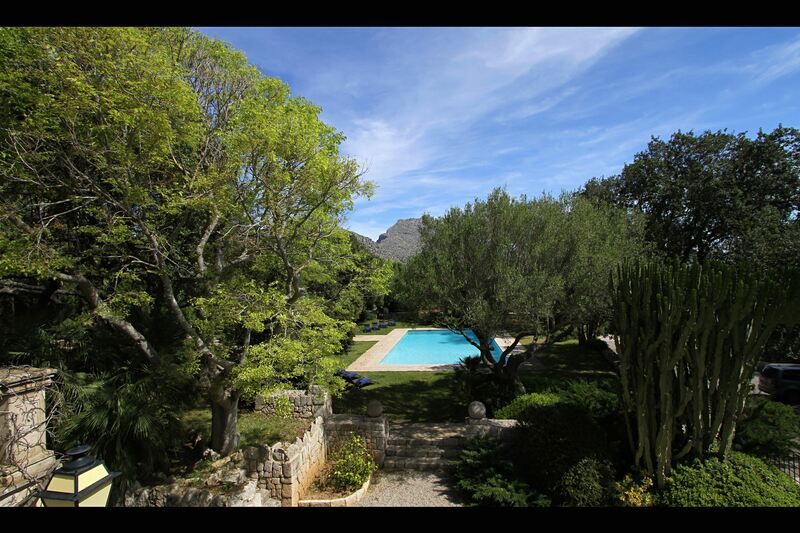 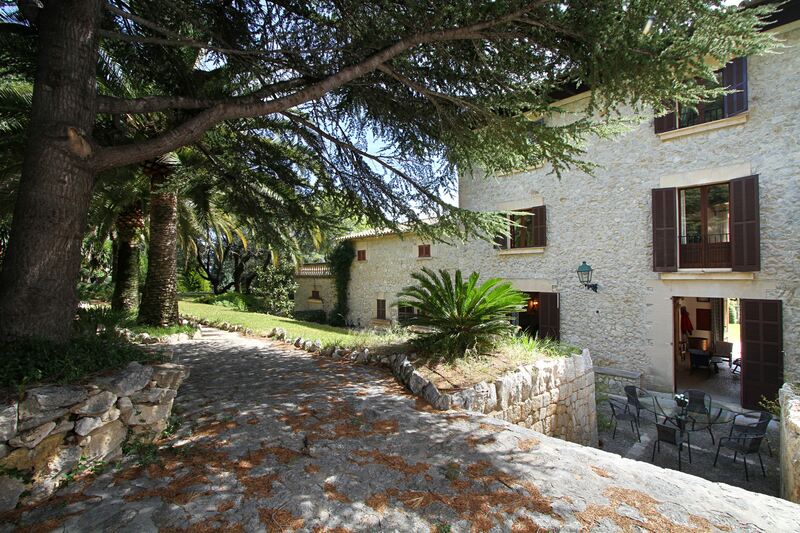 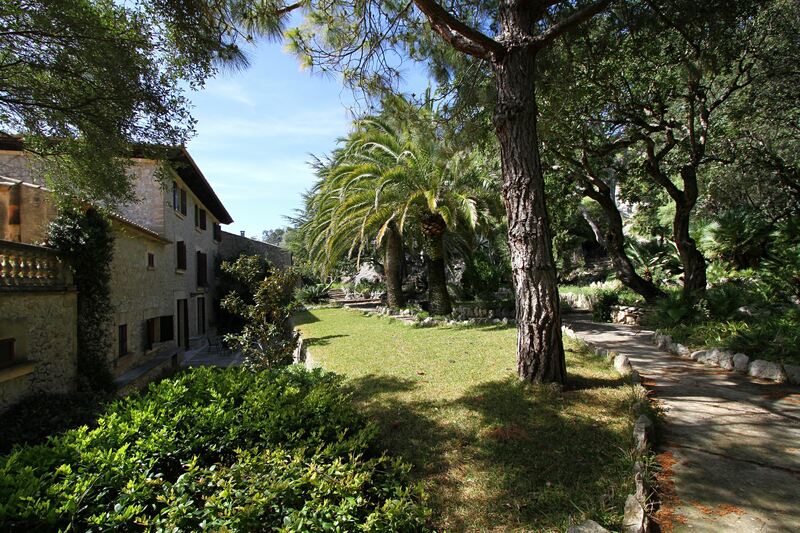 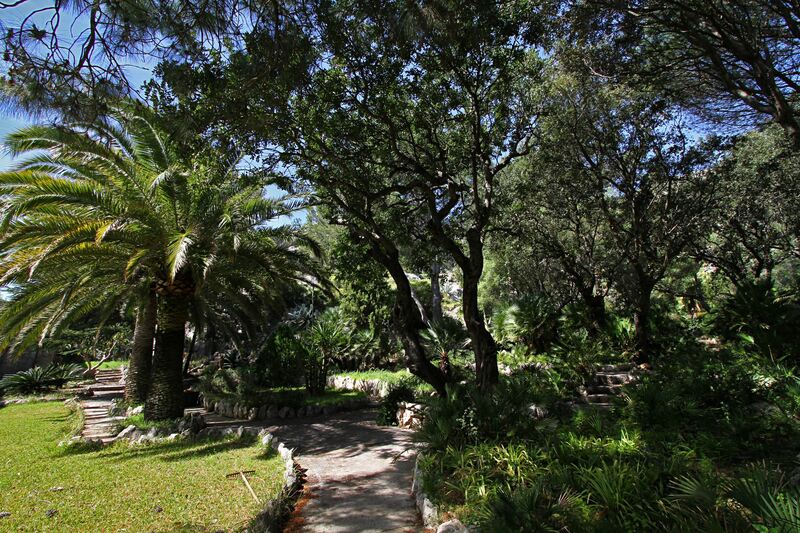 Outside the mansion`s grounds have been wonderfully landscaped, with picture perfect lush green lawns, a huge (15m x 7.5m) turquoise swimming pool with it`s own covered chill out area complete with sofas and ambient lighting, a tennis court and even a cave! 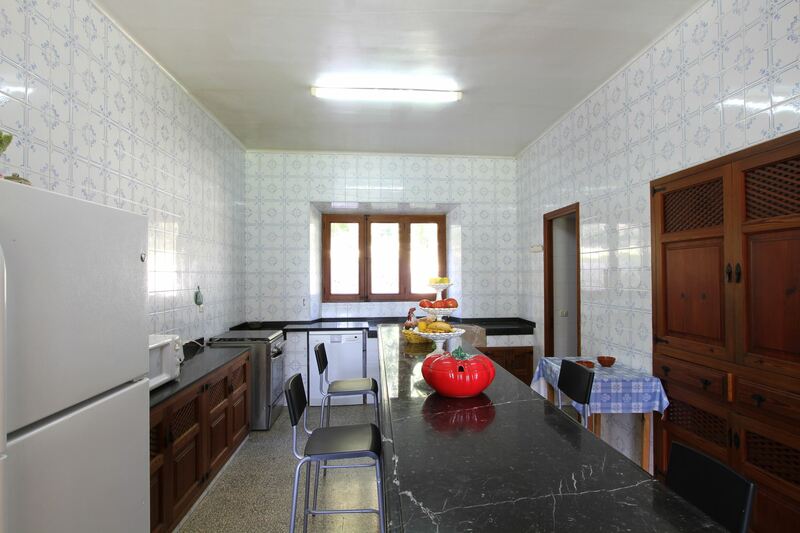 - this property DOES NOT have a barbecue and due its position within a protected wooded area, no open fire or barbecuing is permitted. 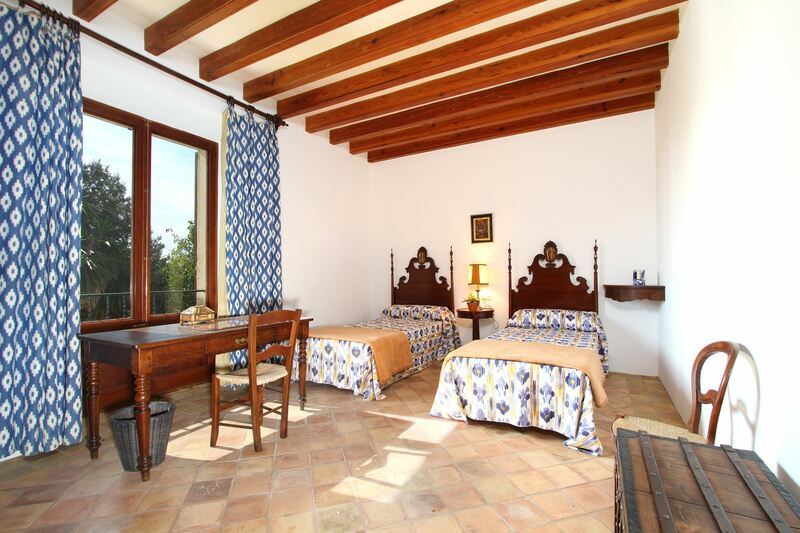 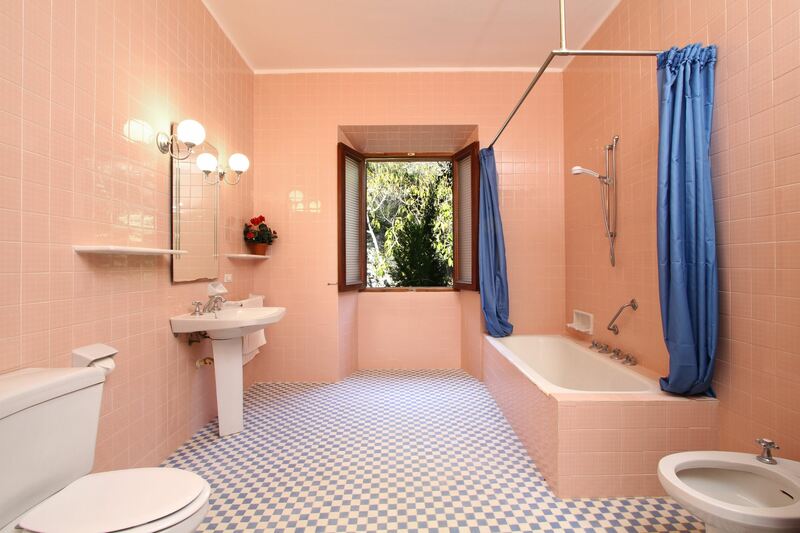 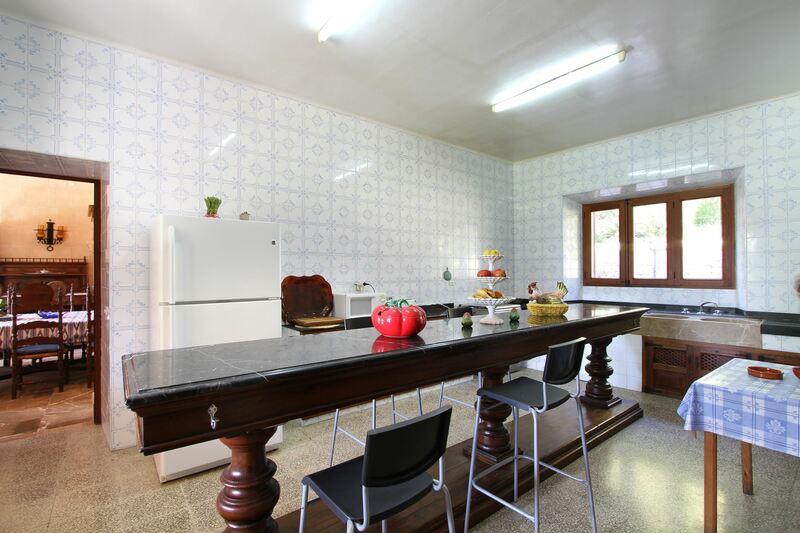 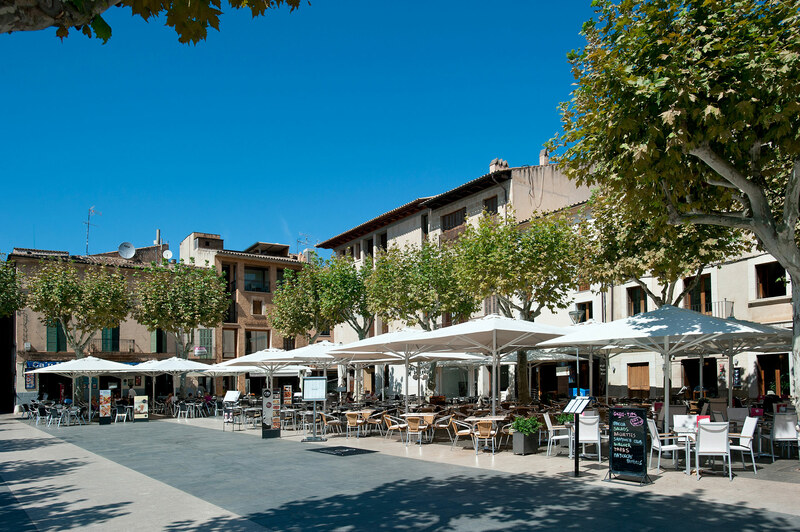 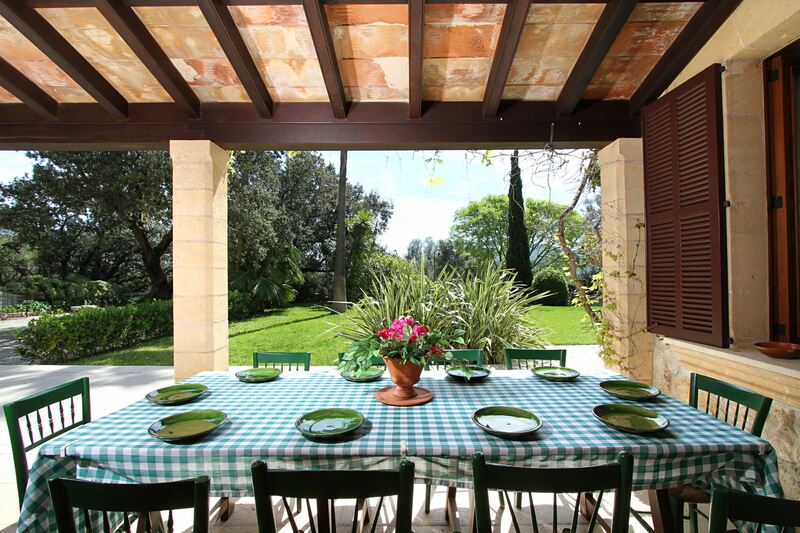 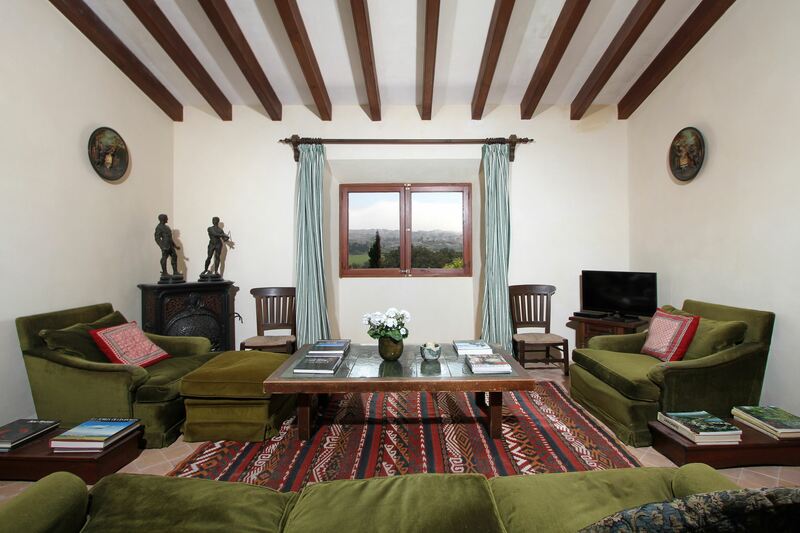 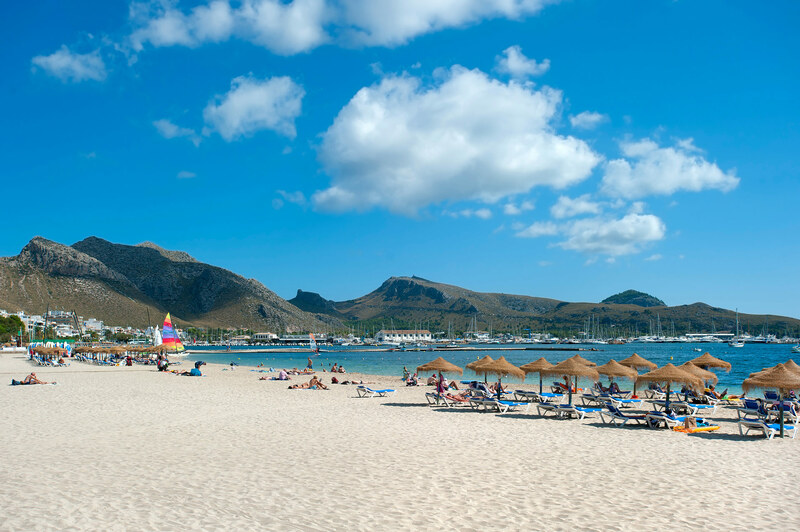 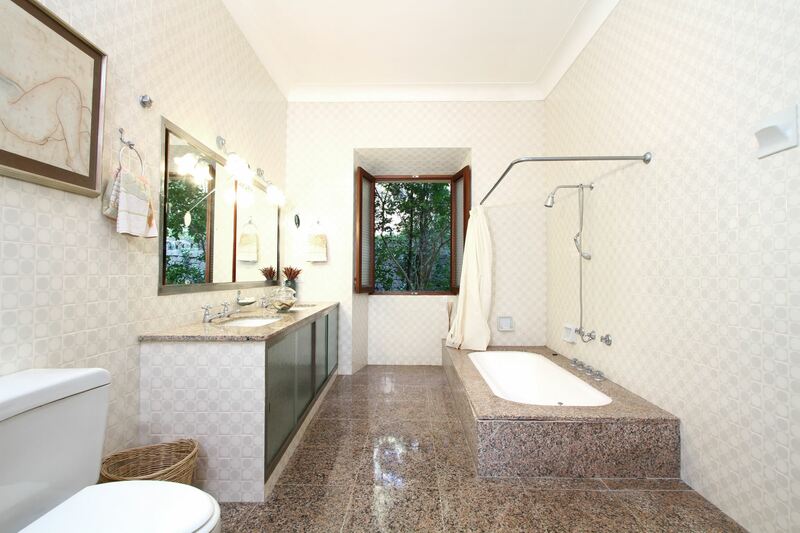 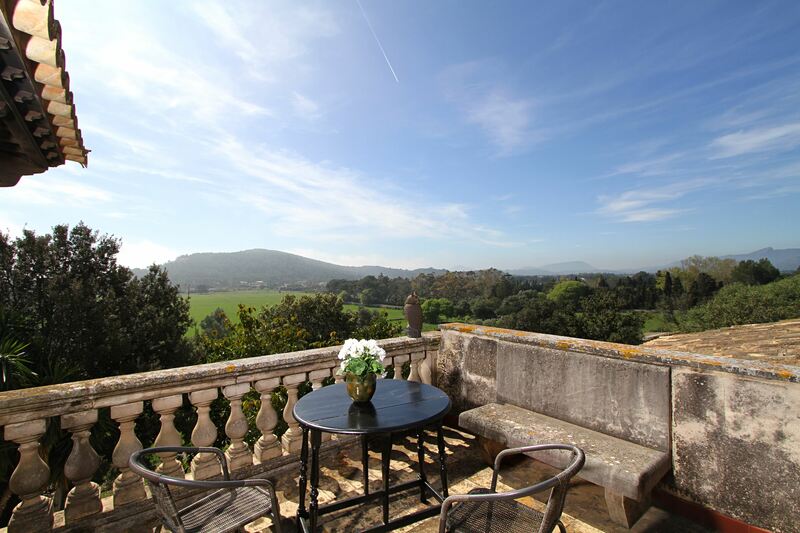 - the property can accommodate more guests if need be, at extra cost per person.